This is a USA TODAY best seller 2017 and Best Kindle Book of 2014. "CSI meets Animal Planet." 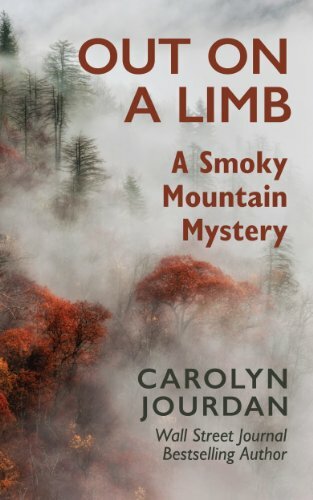 In "Out on a Limb" Phoebe McFarland has just moved back to her hometown of White Oak, Tennessee, a sleepy rural community nestled in the mist-shrouded ridges and isolated hollows of the Smoky Mountains. Now she spends her days working as a rural home health care nurse, making calls on a quirky roster of housebound characters she's determined to take care of whether they cooperate or not. She applies this same optimism to her love life, despite the fact that she's been dating for 38 years without locating any husband material. When she runs into her childhood sweetheart, Henry Matthews, a wildlife ranger for the Great Smoky Mountains National Park, it looks like she might've found her man. But Phoebe and Henry's chance for romance has to be put on hold while they undertake a desperate search for a young woman who mysteriously vanished from the park during a gathering of world famous biologists and botanists, including a charismatic Frog Whisperer. in a sleepy rural community nestled in the mist-shrouded ridges and isolated hollows of the Smoky Mountains. A home health care nurse and wildlife ranger undertake a desperate search for a young woman who has mysteriously vanished from the national park.